The Petaluma Counseling Center welcomes people of every race, nationality, gender identity, sexual orientation, religion, and ability/disability. We do our best to make counseling available, including providing a sliding scale for those in economic need and by having offices that are ADA compliant and wheelchair accessible. We work with children, adolescents and adults. Psychodynamic psychotherapy for exploration of early relational patterns on current relationships and understanding unconscious processes. 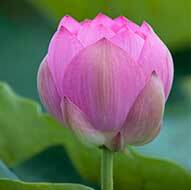 Experiential processes like Mindfulness meditation, Hypnosis and EMDR for the treatment of trauma and anxiety. Alternative approaches to understanding mind states and moods including Eastern psychologies; Buddhist psychology, yoga and wisdom practices are also influences on the work we do. Gottman Approach: A research based approach to couples therapy, developed by John and Julie Gottman, incorporating techniques for managing conflict, building intimacy and connection, fostering shared goals and developing better listening and understanding with couples. Psychobiological Approach to Couples Therapy: This approach was developed by Stan Tatkin, based on Attachment Theory. Attachment theory explores how our early relationships affect how we think and feel about relationships. It shapes our expectations of others and how we behave when in relationship. This approach works to understand how your partner is "wired" by their early experiences and how with this knowledge you can be more effective as a partner and create a relationship of safety and security. Triple P Parenting and Positive Discipline: a positive approach to parenting and discipline. Jill Silverman, is the director of the Petaluma Counseling Center. Licensed in 1993, Jill was in private practice in San Francisco for over 20 years. She moved to Petaluma in 1995 and opened the Petaluma Counseling Center in 2004, where she works with clients, collaborates with colleagues and trains intern therapists. She is on the faculty of the Counseling Psychology Department at Dominican University where she teaches courses for graduate students in Marriage and Family Therapy. Jill has counseled people from a variety of cultures and backgrounds. She works with individuals, couples and families. She has helped adults and adolescents struggling with depression; anxiety and panic attacks; substance abuse; co-dependency; childhood abuse and Post Traumatic Stress Disorder. She works with couples to improve their communication, deepen their bond and bring joy back into the relationship. She has worked with families to increase parenting skills, help with the transition for families going through divorce, remarriage, or step-parenting and works to facilitate better boundaries and communication between parents and their children. Jill has the ability to hold the depths of the human psyche with understanding, curiosity and compassion. She appreciates that being human comes with many difficulties. She enjoys helping clients explore and discover aspects of themselves and strengthen their sense of self. She has helped many people resolve trauma, become more comfortable with who they are and make positive changes in their lives. Having a life-long interest in understanding the human mind and emotions, Jill has studied many approaches to counseling and healing. Jill balances a strong grounding in traditional evidence-based practices from Western psychology, such as Cognitive-Behavioral Therapy (CBT) and Psychodynamic Therapy with other approaches to healing, such as Buddhist Psychology, Mindfulness Meditation, Eye Movement Desensitization and Reprocessing (EMDR) and Clinical Hypnosis. She has studied the Gottman Method and Stan Tatkin's Psychobiological Approach to Couples Therapy. She continues to study new approaches in the field to stay current in both her teaching and clinical practice. Clients have expressed their appreciation for Jill's broad knowledge of therapeutic practices, as well as her warmth and sense of humor. Alexis provides counseling to individuals of all ages, couples and families struggling with a wide range of challenges. Her areas of focus include anxiety, depression, relationship issues, trauma, PTSD, parenting, substance abuse, ADHD, grief and loss, and issues related to life transitions. Alexis brings a warm, collaborative, creative and strengths-focused approach to working with clients. She encourages clients engagement and participation throughout the therapy process and considers it a great honor to travel alongside her clients in their journey towards personal and relational growth. Alexis integrates strategies and tools from short-term, practical approaches with more in depth, relational approaches to form a comprehensive and flexible treatment tailored to the strengths, needs and goals of each client. Her approach to therapy aims to not only reduce symptoms and problematic behaviors, but also aims for improvements within her clients' insight, self-esteem, relationships, and overall quality of life. 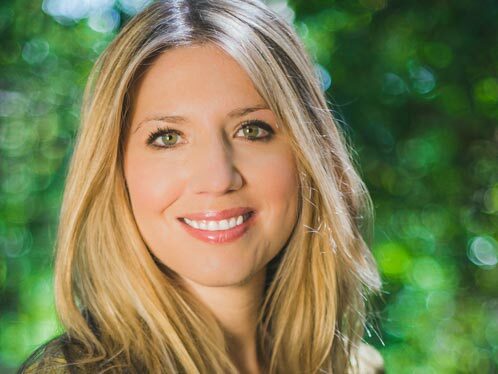 Alexis received her Master's degree in Counseling Psychology from Santa Clara University and has extensive clinical training and experience in Dialectical Behavioral Therapy (DBT), a form of therapy that combines cognitive-behavioral therapy (CBT) with Eastern meditation practices. She facilitates a DBT skills training group for adults at the Petaluma Counseling Center and incorporates DBT into her individual work with clients seeking to gain more control over their feelings and develop more productive ways of thinking and relating to others. Alexis has also received training in Eye Movement Desensitization and Reprocessing (EMDR), a form of therapy that has been scientifically researched and proven to be effective for the treatment of trauma and PTSD. After a decade of supporting mental health providers as a Neuroscience Sales Specialist, Alexis realized that her true passion and enthusiasm lay with directly helping clients to address what most deeply ails them and to overcome various issues related to mental health. This was the impetus to her new career path of becoming a psychotherapist dedicated to providing a safe, accepting and supportive space for clients to work through the problems that get in the way of their possibilities and to helping enhance her clients' capacity to love, work and play to pave the way to a more rewarding and meaningful life. To reach Alexis Crissey please call (707) 782-1222 extension 1 or email. Paige is a psychotherapist committed to the therapeutic process with individuals, couples and families as a collaborative journey. Whether you've experienced a recent life transition, are having difficulties with relationships, or wish to heal old hurts, Paige addresses client concerns in a humanistic manner with a warm and open style. Using an integrative approach, she pulls from multiple orientations including attachment theory, EMDR, dialectical behavior therapy, cognitive-behavioral therapy, mindfulness techniques, motivational interviewing, control mastery theory, and modern psychodynamic theory. Her areas of focus include trauma, anxiety, depression, relationship issues, parenting, PTSD, impulsive behaviors, grief and loss, and substance abuse. Paige holds a Master's degree in Counseling Psychology from the Wright Institute in Berkeley, California, and a Law (LLB Hons) degree from the University of Manchester in the United Kingdom. In addition to graduate school, she has extensive clinical training and experience in Dialectical Behavioral Therapy (DBT), a form of therapy that combines cognitive-behavioral therapy (CBT) with mindfulness practices, and facilitates a DBT skills training group for teens at the Petaluma Counseling Center. Paige has completed Level 1 and Level 2 training in Eye Movement Desensitization and Reprocessing (EMDR), an integrative psychotherapy approach that has been extensively researched and proven effective for the treatment of trauma. 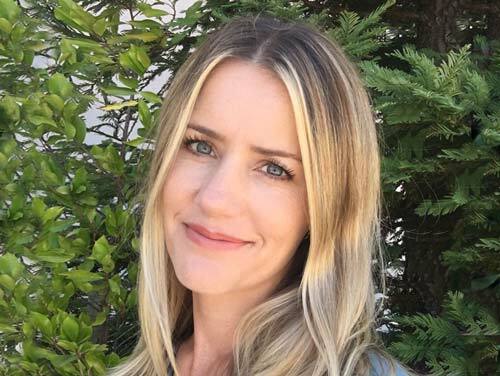 Prior to working in private practice at the Petaluma Counseling Center and Bay Area Trauma Treatment Center, she received clinical training at Family Service Agency of Marin. 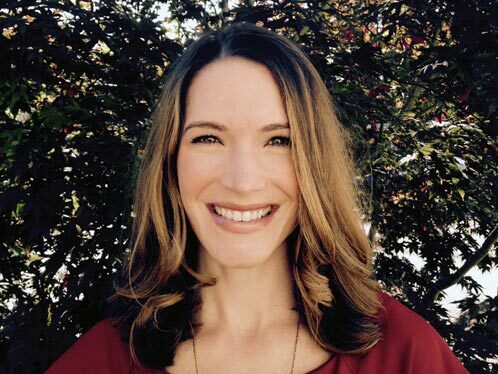 Paige is a member of the Marin County California Association of Marriage and Family Therapists, and the American Association of Marriage and Family Therapists. To reach Paige Pires de Almeida please call (415) 689-1198 or email. Dayna is a psychotherapist experienced in Coparent Counseling, Couples Counseling, Individual, Child Therapy and Parenting Support. Dayna has a warm, integrative approach to therapy and uses modalities such as Cognitive Behavioral Therapy, Solution Focused Therapy, Positive Psychology, Narrative Therapy and Mindfulness in her work with clients. Dayna specializes in Coparent Counseling and Divorce support for individuals and children. Coparent Counseling can help parents address common coparenting concerns, develop child centered parenting plans, develop effective coparent communication, address blended family issues and assist parents in learning to work together for the benefit of their children. In addition to Coparent Counseling, Dayna offer's Coparenting and Divorce support groups and classes, as well as Individual and Child Therapy for those going through divorce or separation. Dayna also works with couples, where she uses Gottman Method Couples Therapy to help couples build a healthy foundation for their relationship that integrates creating a deeper sense of connectedness, shared meaning, self-awareness and interpersonal growth. Dayna helps couples to recognize patterns in the relationship that lead to partners feeling disconnected, frustrated or unsatisfied, and works with couples to strengthen the relationship. Individual Therapy can be helpful for a variety of concerns including stress, fatigue, depression, anxiety, sleep issues, trauma, life transitions and grief. Dayna strives to develop a therapeutic relationship with her clients with a warm and compassionate approach to therapy. With a background in Parent Education, Dayna is passionate about working with parents who are looking for support with their children's emotional and behavioral problems. Dayna works closely with parents to develop individualized Positive Parenting plans that address concerns such as ADD/ADHD, anxiety, tantrums, bedwetting, homework issues, hitting, biting, and bullying. Dayna received her Master's degree in Counseling from Sonoma State University. Dayna is a member of California Association of Marriage and Family Therapists, and the Association of Family and Conciliation Courts. Dayna has received clinical training in Coparent Counseling, working with Court Involved Families, and Early Childhood Trauma. Dayna developed a Coparenting Program at the Child Parent Institute in Santa Rosa, CA. and is the Program Manager for Kids' Turn of Sonoma County. 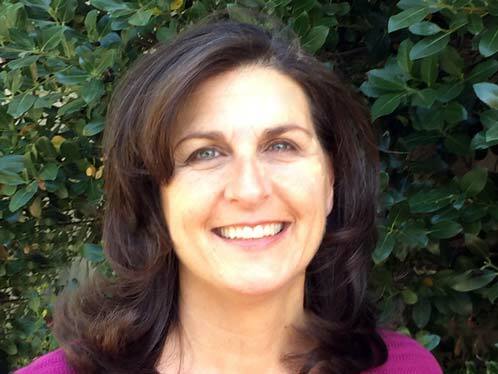 She is supervised by Jill Silverman, MFT, Director of the Petaluma Counseling Center. To reach Dayna Adams please call (707) 782-1222 extension 5 or email.